New book, 256 pages with 291 colour pictures, 1 map and 50 colour drawings. 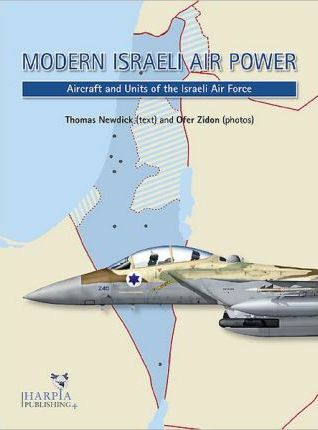 Israel remains the cornerstone of Middle East conflicts and tensions, and the spearhead of Israeli military might remains the Air Corps (Kheil Ha'Avir) of the Israeli Defence Forces. Renowned for its continuous efforts to maintain dominance in every dimension of air warfare, improve its capabilities, and outsmart its opponents, the Israeli Air and Space Force has recently been moving away from preparations for interstate wars towards improving its potential to wage asymmetric conflicts, counter-insurgency campaigns and special operations. This item was added to our catalog on Tuesday 29 October, 2013.